Unlike those in plastic and clay pots, plants in Grow Bags do not get rootbound. The roots are naturally air-pruned. 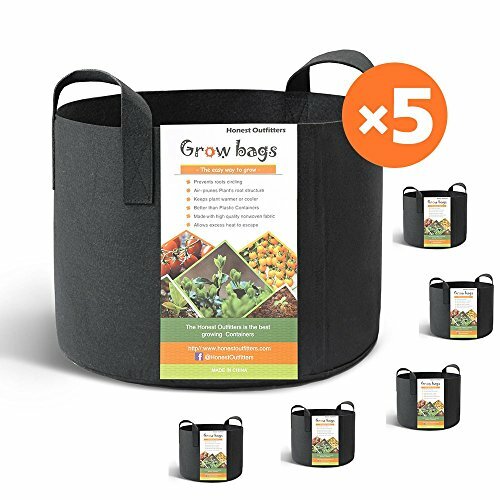 The bags are lightweight and easy to move, allowing you to extend the growing season by moving them to a sheltered location. You don't have to worry about overwatering like you do in containers. Using the water tray provides water to the roots as needed and saves time. If you have any questions about this product by HONEST OUTFITTERS, contact us by completing and submitting the form below. If you are looking for a specif part number, please include it with your message.